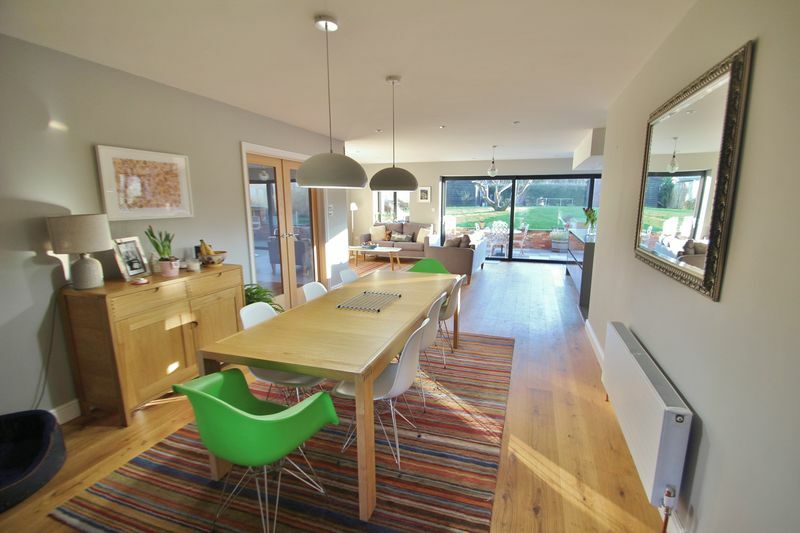 Pine end forms the most attractive, well designed beautifully presented family home. 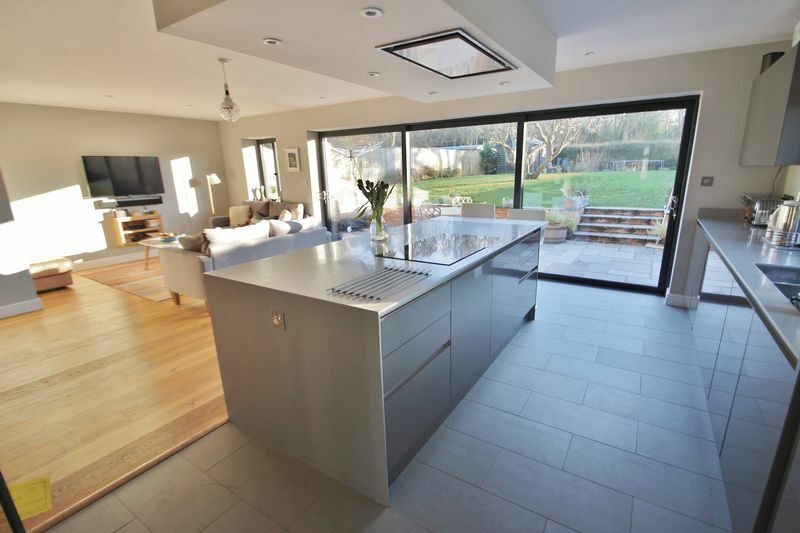 The property has been skilfully adapted, extended and modernised to an exceptional level. 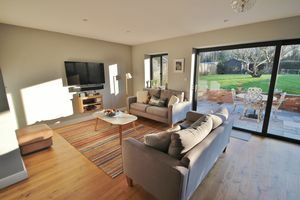 There is new wiring throughout, new pressurised central heating system and plumbing, aluminium windows, crisp render elevations, new faux slate roof and high levels of insulation throughout. 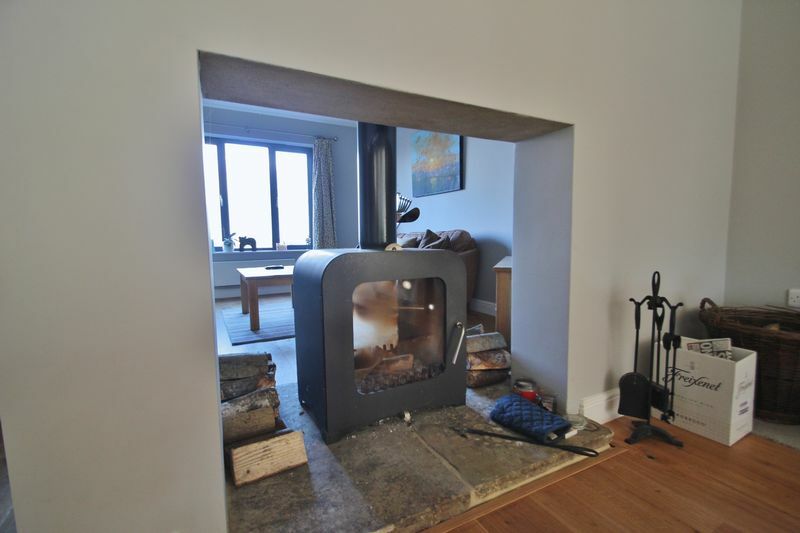 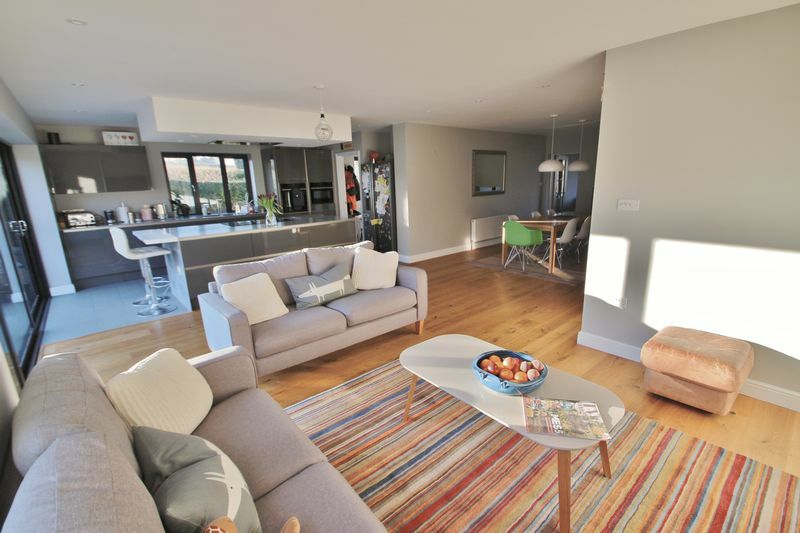 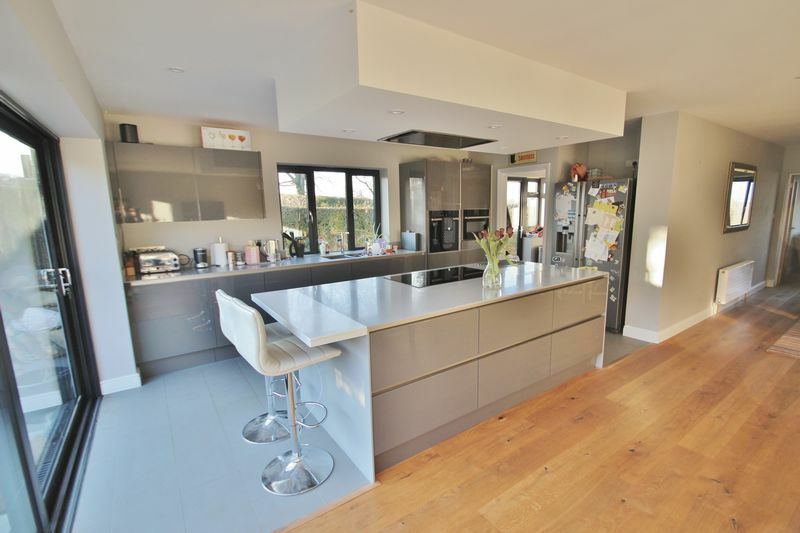 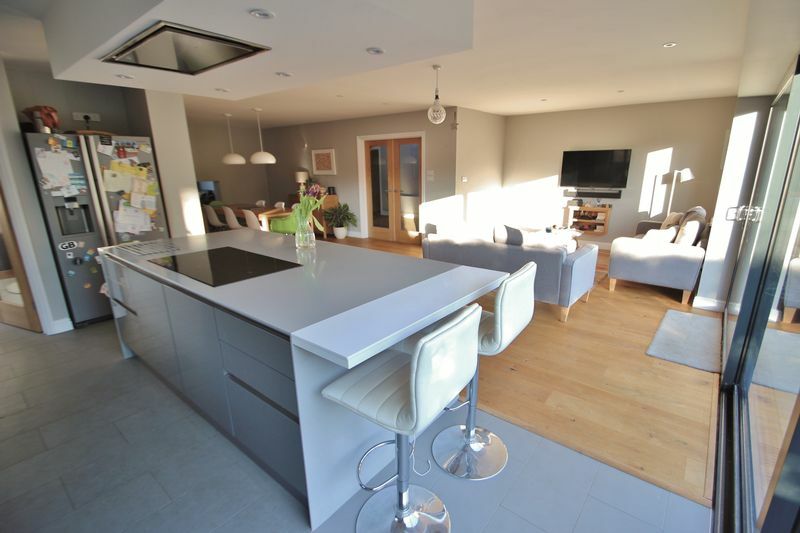 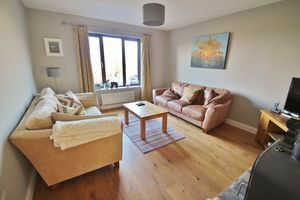 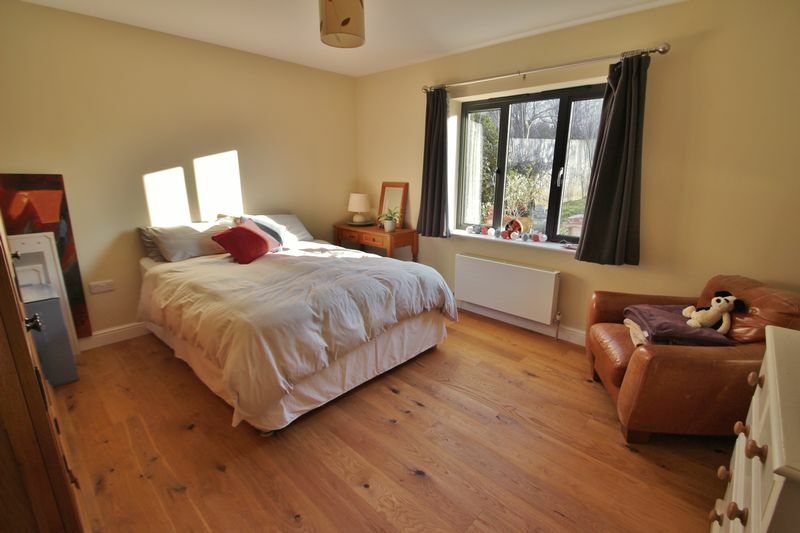 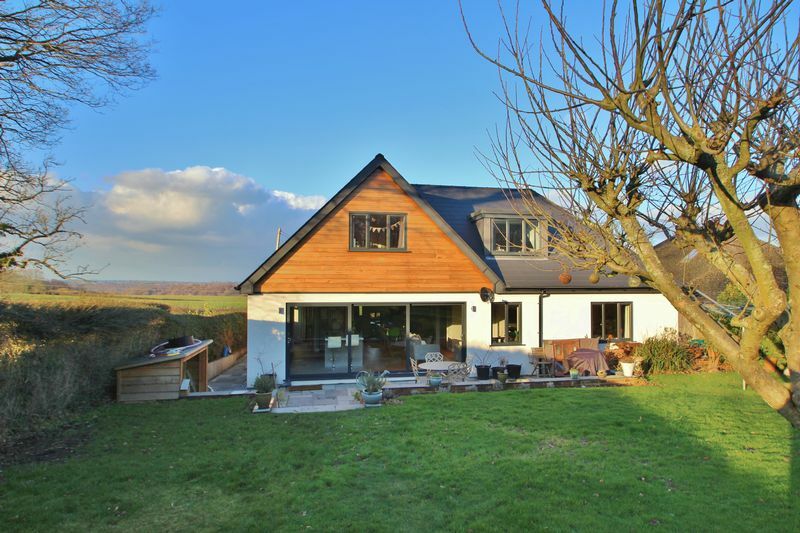 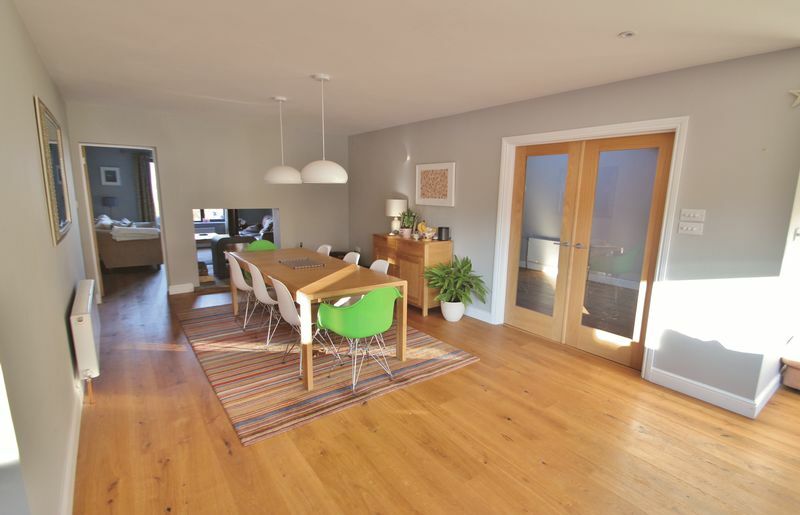 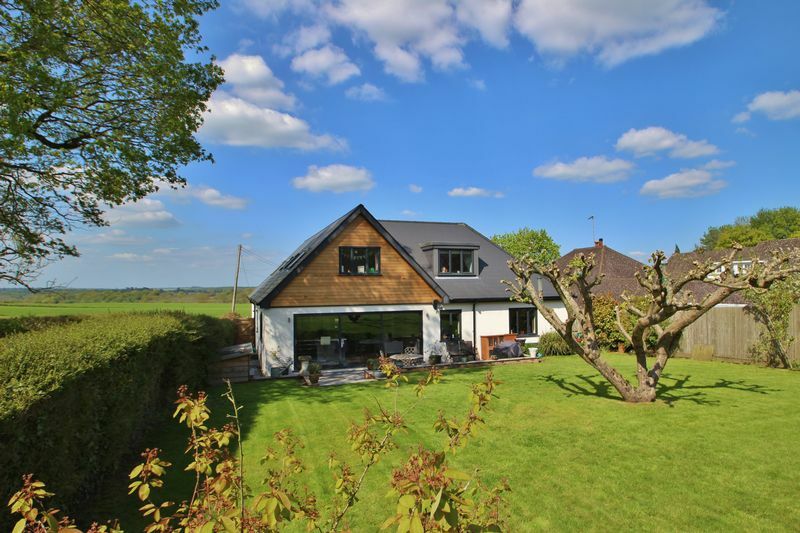 Moreover, the property enjoys lots of light, plenty of space, engineered oak flooring and oak doors. 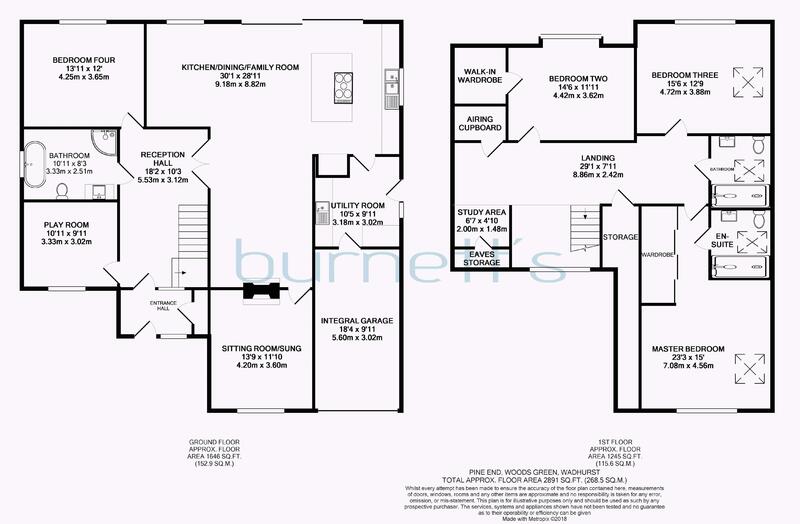 As one enters the front door to the entrance hall, there is a large coat and boot cupboard plus door and window to the impressive reception Hall. 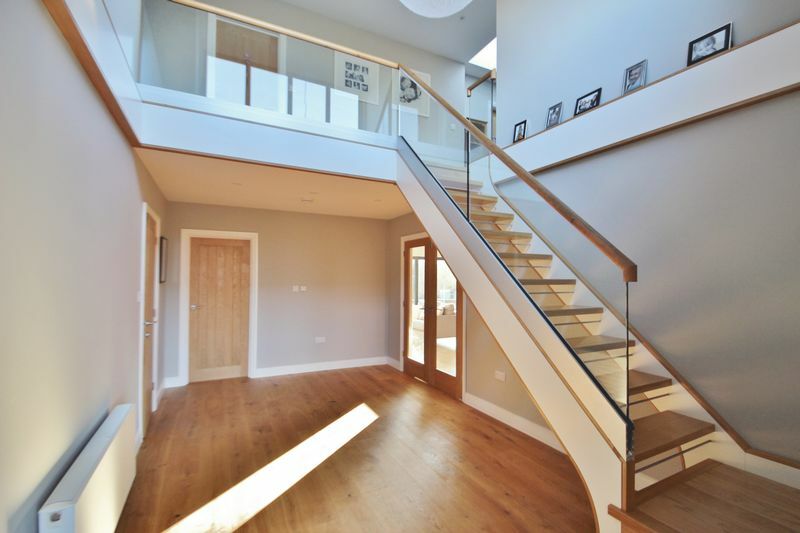 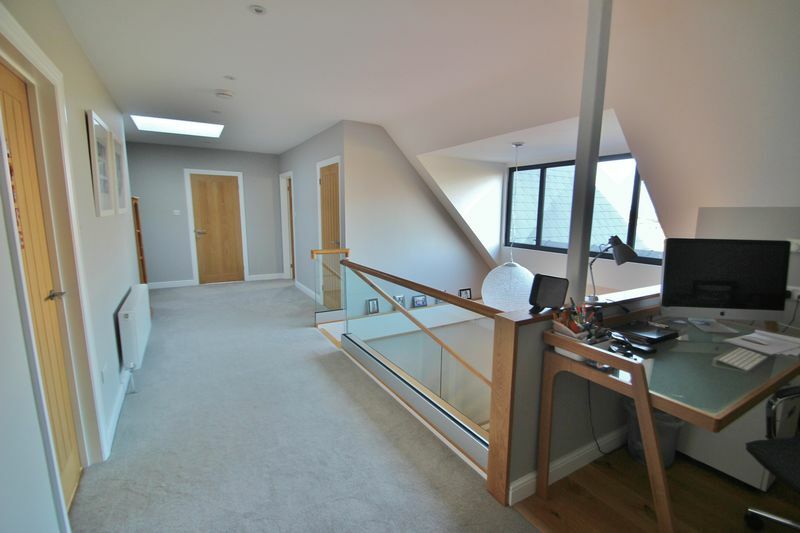 This vaulted area enjoys glass balustrade oak with stairs to a galleried landing. 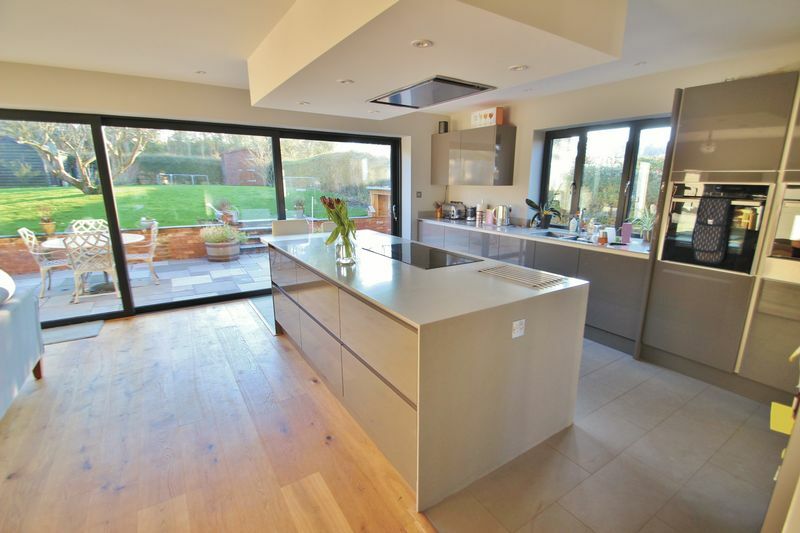 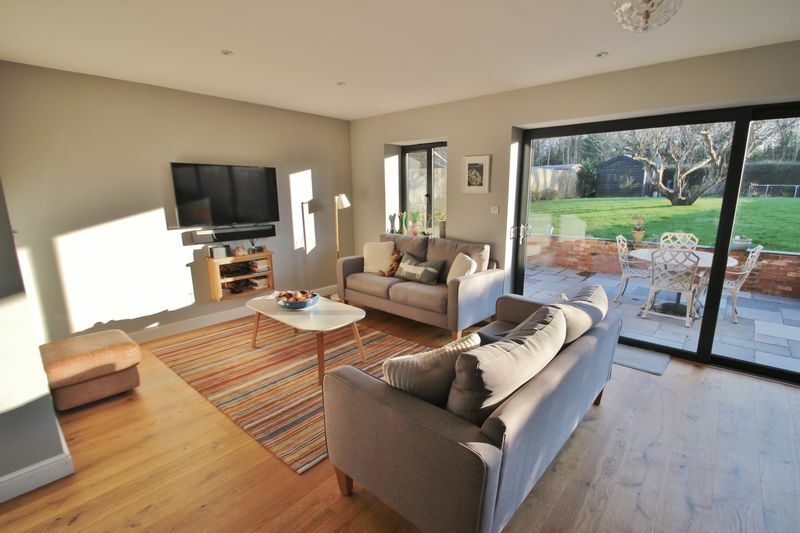 Double doors lead into the large and bright open plan kitchen / dining / family room with window to the rear garden and large glazed sliding doors to the paved rear Terrace. 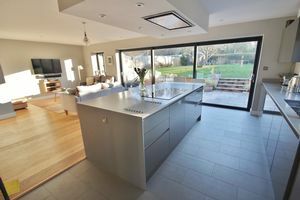 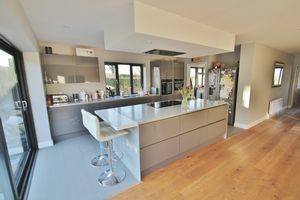 The kitchen area has grey hi-gloss cupboards and drawers, with a matching central Island complete with a large Neff induction hob and Neff extractor above, breakfast bar, recess for an American fridge freezer, integrated 1.5 sink and drainer, dishwasher and Neff oven grill and combi microwave. The seating area dining area enjoy the wooden flooring with a double fronted wood burner and doorway leading to the sitting room with window and views to front. 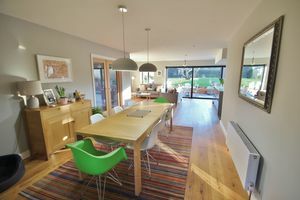 A door from the hall leads to a snug / playroom / office with window to front with countryside views. There is also double bedroom with window to rear and adjacent bathroom complete with a freestanding bath, corner shower, WC and Basin with a vanity unit, attractive tiled walls and vinyl wood effect floor, extractor fan and window to side. 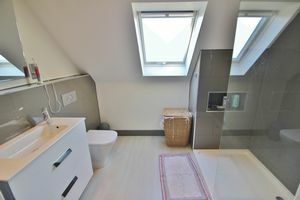 From the kitchen is a useful utility room with a range of cupboards sink with drainer, washing machine and tumble dryer plus window and door to side. 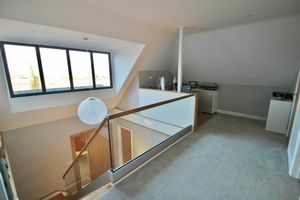 There is a further door and steps down to the integral garage with electric up and over door. The first floor enjoys a large open landing glass balustrade, large roof light giving roof access and fantastic views to the front. 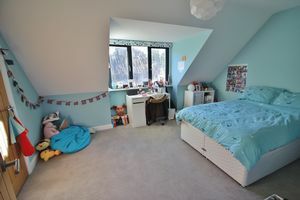 There is open study area to one side, doors to Eve storage and airing cupboard, plus additional store. 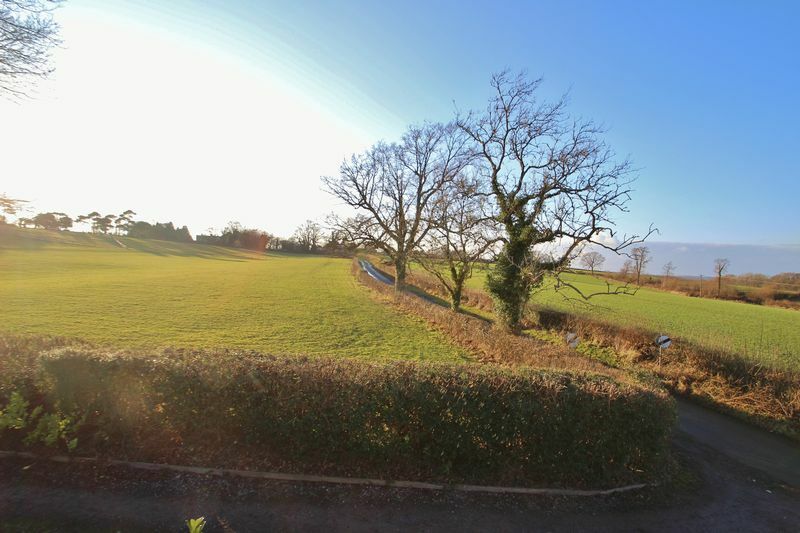 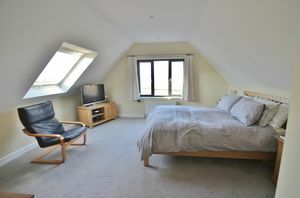 The master bedroom is an attractive light room with windows to front and side with superb countryside views. 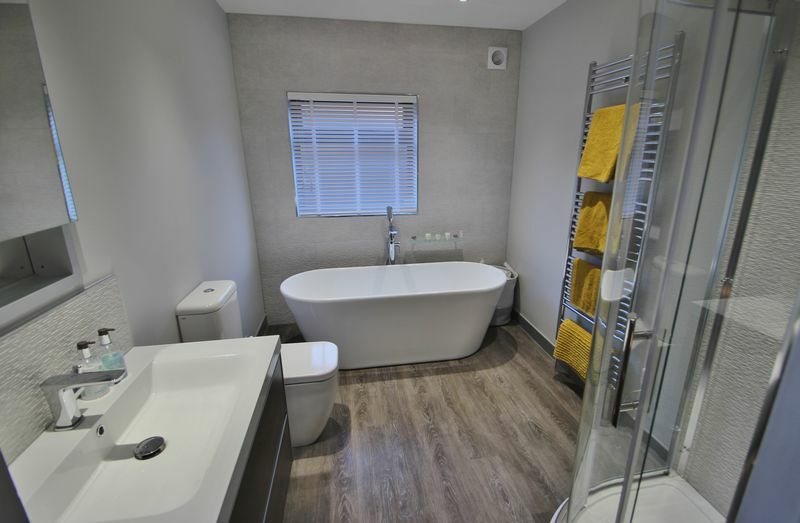 There are large built-in wardrobes with sliding glass doors and door to the en-suite shower room comprising a walk in shower, basin, WC, towel rail, tiled walls and vinyl wood effect floor add Velux window to side. 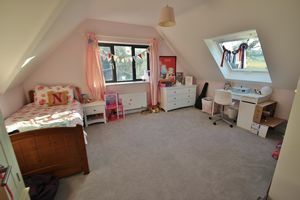 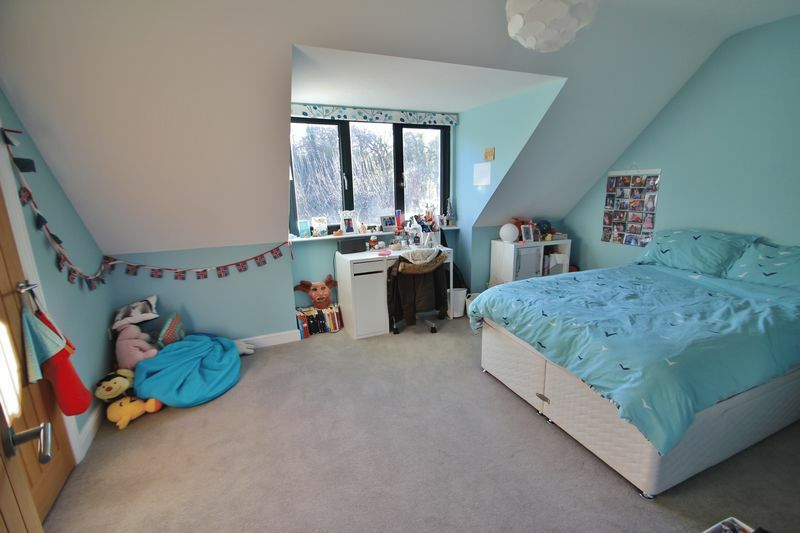 The second bedroom has a window overlooking the rear garden and door to a walk-in wardrobe. The third bedroom also faces the rear garden and the Fields to side with windows to the rear and side. 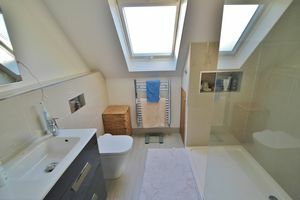 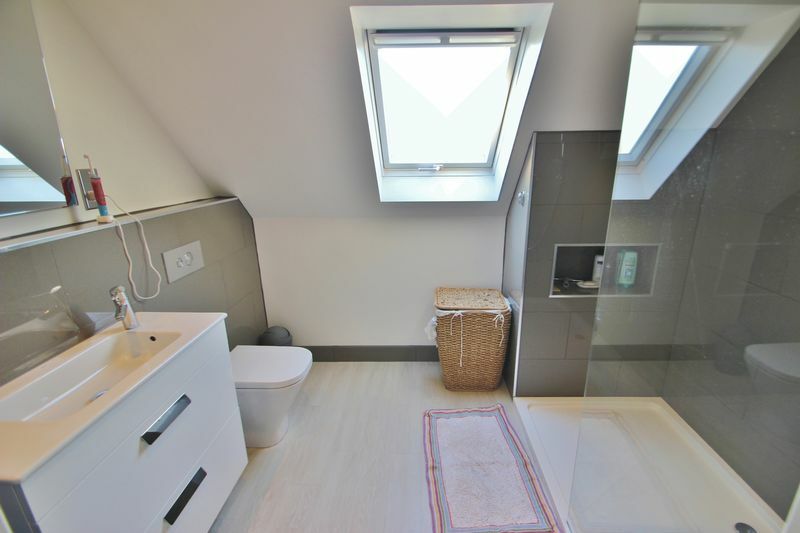 There is a further shower room, with walk-in shower, basin, WC, towel rail, tiled walls and vinyl wood effect floor and Velux window to side. Outside, the property is approached via a fenced, hedged and gated front garden. The tarmac driveway provides parking for several cars as well as access to the integral garage and steps up to the front door. 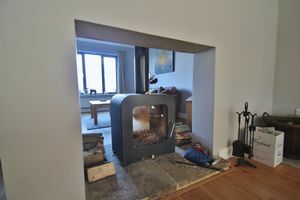 There is a path to the side of the house, past the utility room door to the rear garden. 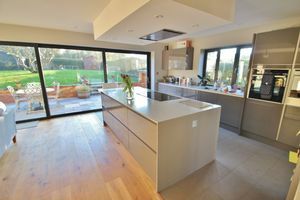 There is a large expanse of paved patio behind the kitchen, with the triple sliding glazed doors that allow ease of access for entertaining. The lawn beyond is mainly level, with a central apple tree, two wooden sheds and raised beds against the rear boundary. The whole of the rear garden is hedge and fence enclosed. 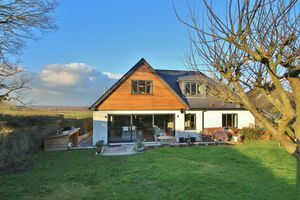 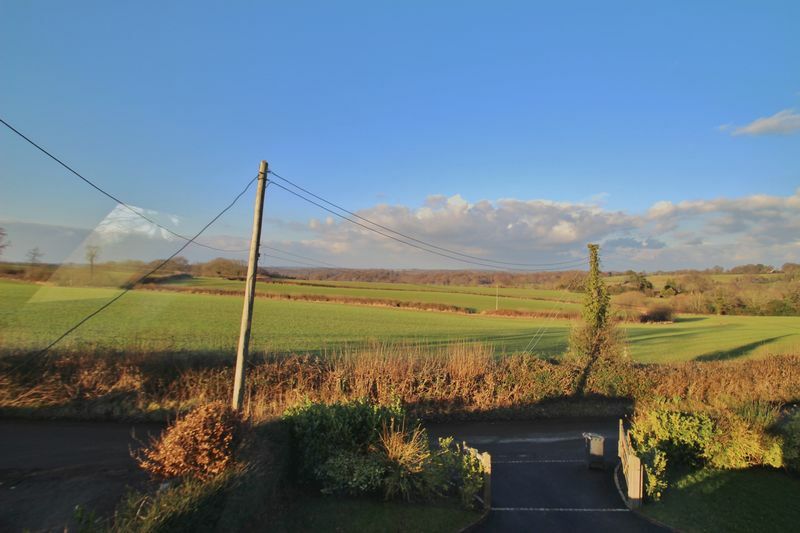 The property is located just off Three Oaks Lane and Osmers Hill, in a tucked away position yet within easy walking distance to the village and approximately 1 mile of Wadhurst Station and High Street, with excellent walks right from the cottage on the nearby Kent and Sussex border path. 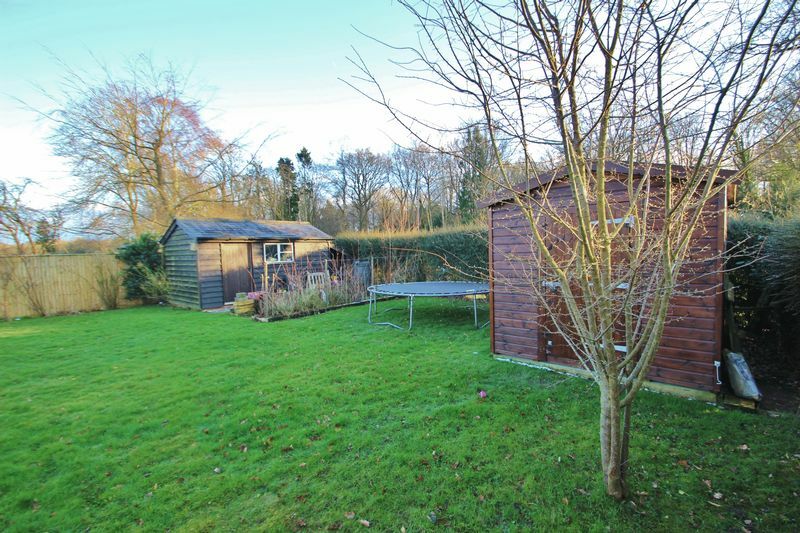 Wadhurst also offers Churches of various denominations within a good and strong community. 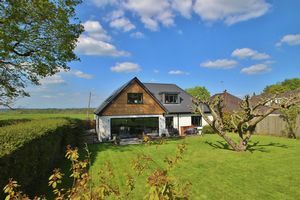 From a social point of view there are many choices to be made from Period Inns, Gastro Pubs, Restaurants, Cafés, an Art Gallery and many other Societies and Clubs. 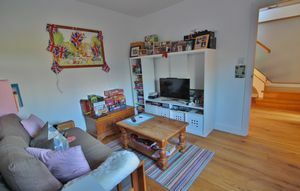 From a shopping perspective there can be found a very good and newly opened local supermarket, a family run butcher’s, greengrocer, chemist, delicatessen, two banks, a high quality gift shop and ladies outfitters, an excellent library and very well stocked and traditional Post Office and Book shop. Wadhurst also benefits from a very good local Doctor’s Practice and Dentist. There is an excellent choice of education and care from Nurseries and Primary Schools through to Secondary schools, for both boys and girls, in the private and state sector. 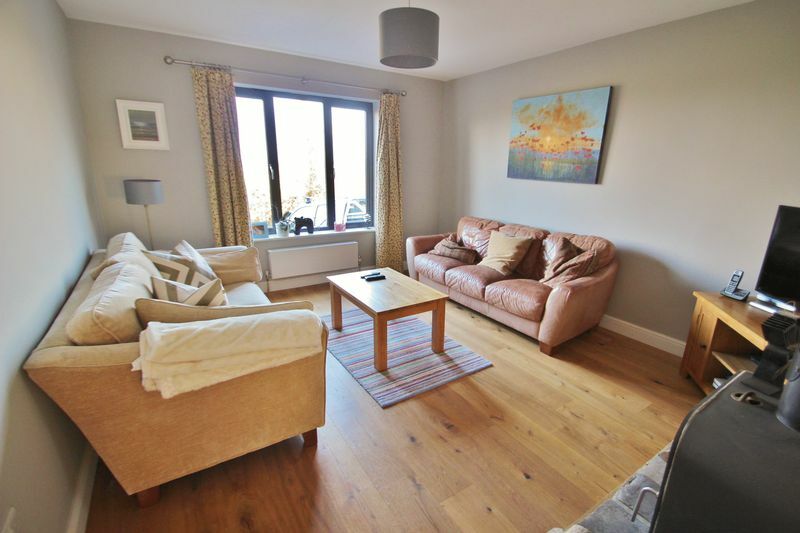 Nearby leisure facilities include tennis, an excellent children’s playground and a Community sports centre. 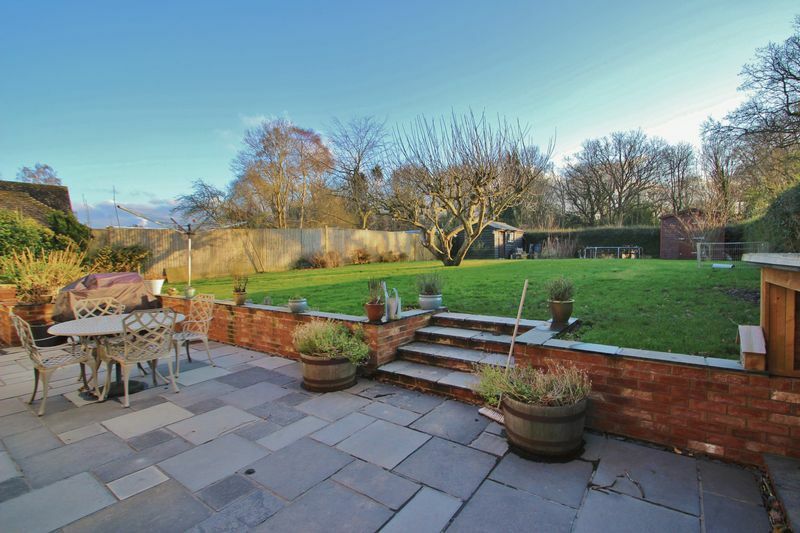 Approximately 6 miles North of Wadhurst is the lovely Spa town of Royal Tunbridge Wells, with its fabulous shopping and beautiful Regency style paved Pantiles area, theatres and various other leisure facilities. 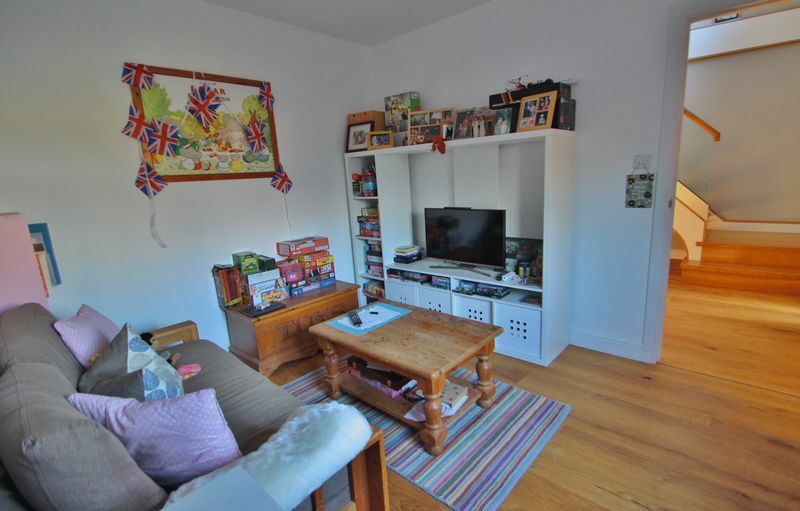 This town also has very high achieving grammar schools.